Hello everyone! 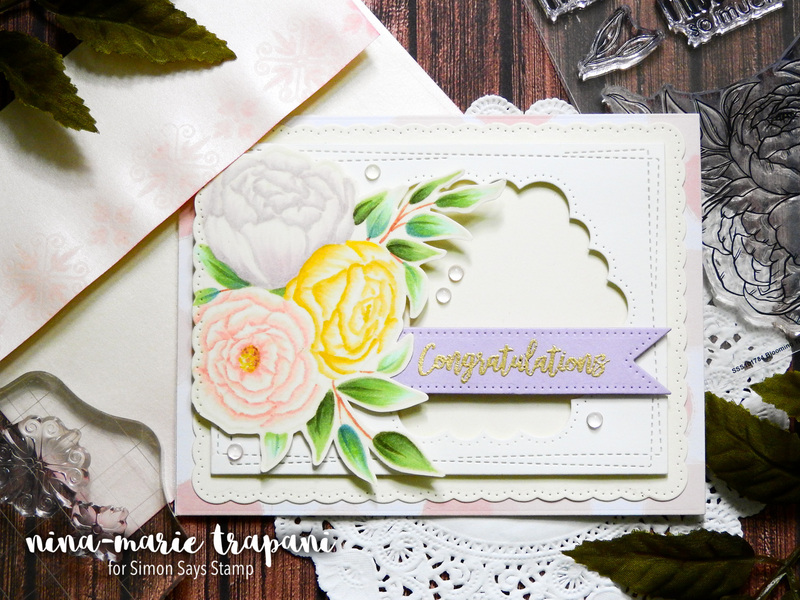 I wanted to share some inspiration with you using the new STAMPtember collaboration exclusives from Simon Says Stamp; namely, Studio Katia’s Blooming Trio and Pretty Pink Posh’s Damask Greetings stamp sets. I loved both of these sets and couldn’t wait to use them… and when I was playing around the other evening, I realized how well these two sets looked together! 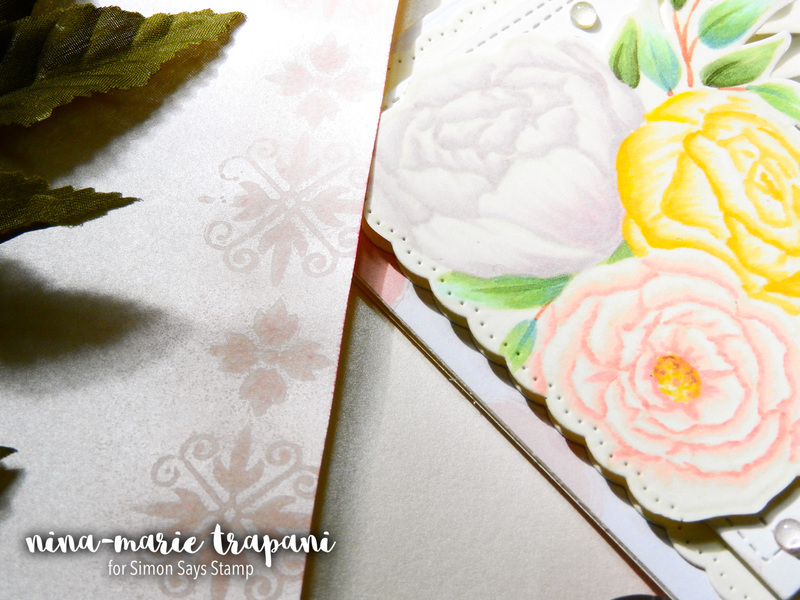 This prompted me to make a card and matching envelope set that incorporated elements from both stamp sets, as well as a few other products I am enjoying right now. 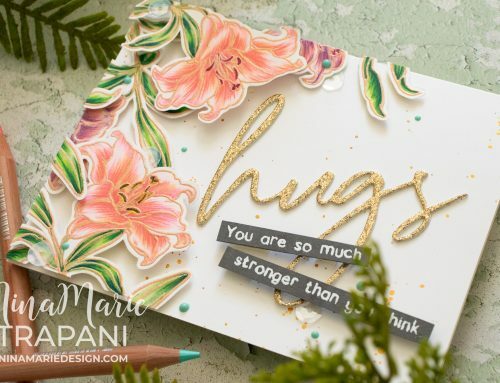 A couple of the additional products I used were some dies; Studio Katia recently released a new collection of products that included the Dotted Patterns Scallop Frames set. Another die set I have loved using of late is the Memory Box Wrapped Stitch Rectangle die set; this set features a bunch of nested rectangles, the largest being as big as an A2 card. Both of these die sets worked very well together and helped me create the window frame panel you see on my card. 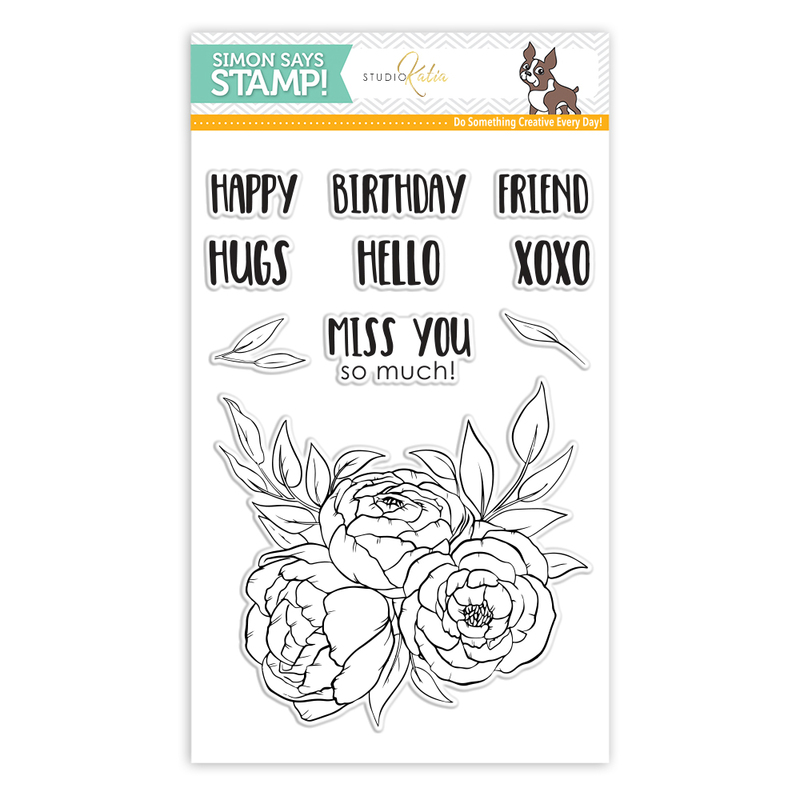 The Pretty Pink Posh Damask Greetings stamp set has some beautiful script sentiments included in it, which I used on my card. But the “star of the show” in this set is the array of pretty damask patterns. I thought these would be perfect to adorn the envelope that coordinates with the card. 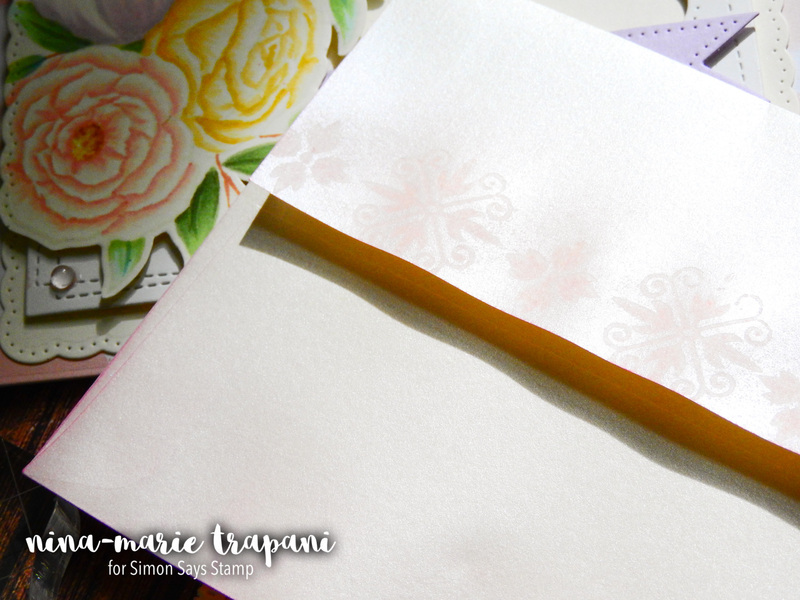 I ink blended some Cotton Candy ink onto a Metallic Cream envelope from Simon; then I stamped a pattern of damasks onto the edges of the flap and back of the envelope, using the same ink color. 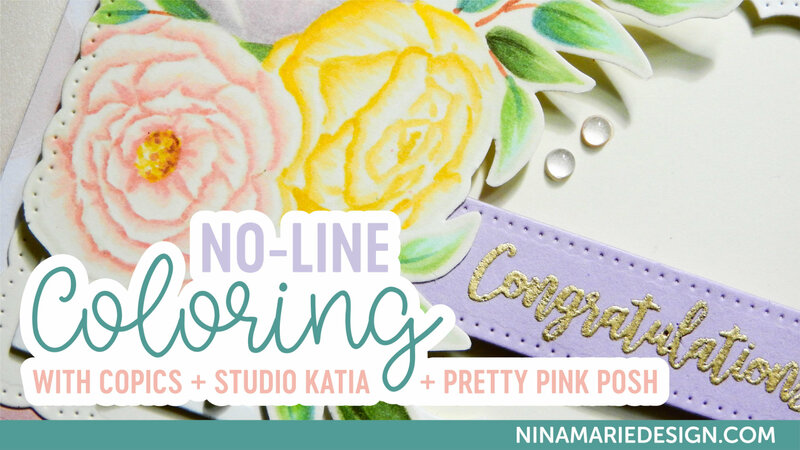 I put on a layer of clear embossing powder to make the stamped images stand out just a bit more. The effect of having a “pink dipped” envelope with the stamped damask pattern really turned out beautiful! The effect on the envelope was extremely hard to capture in the photos, so I highly encourage you to check out the video below to see it up-close! 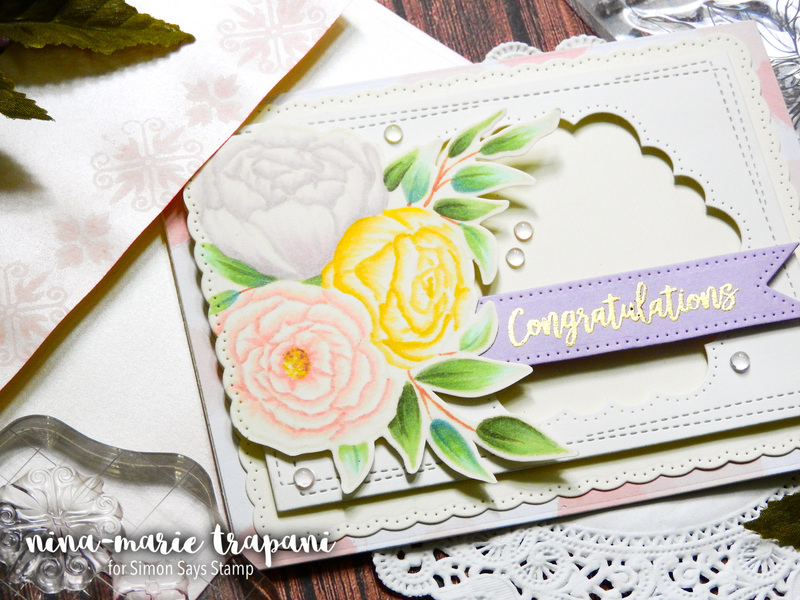 The video also shows how I created the entire card and envelope set from start to finish… I hope you enjoy! 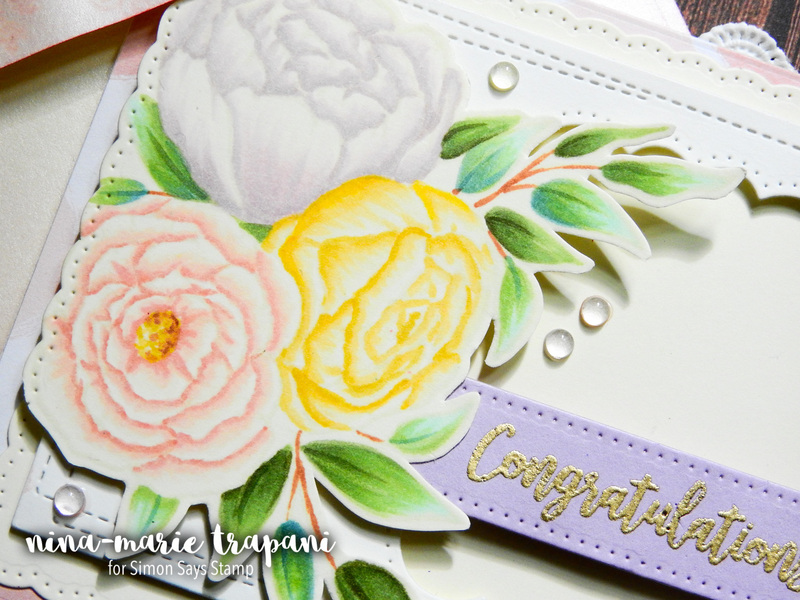 If you want to pick up either the Blooming Trio set from Studio Katia or the Pretty Pink Posh Damask Greetings set, make sure you pick them up soon, as these are limited edition STAMPtember sets. 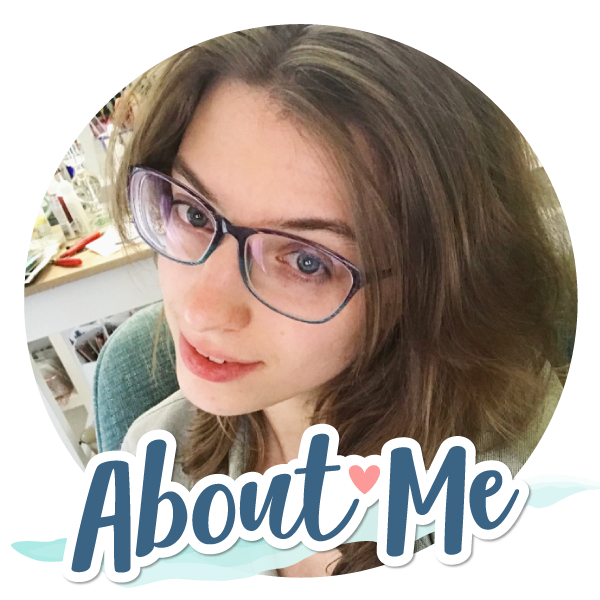 Thanks for visiting with me today; I will be back tomorrow with another video to share with you! 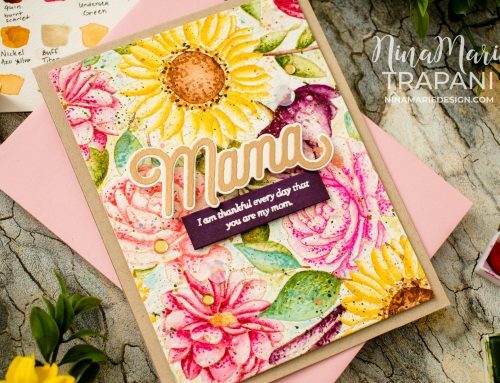 That’s a wonderful card made with great products ! 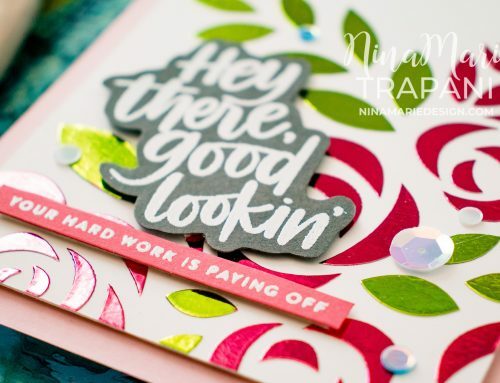 A lovely card, Nina- I always learn something when I watch your videos. They are well-done, concise, & informative. 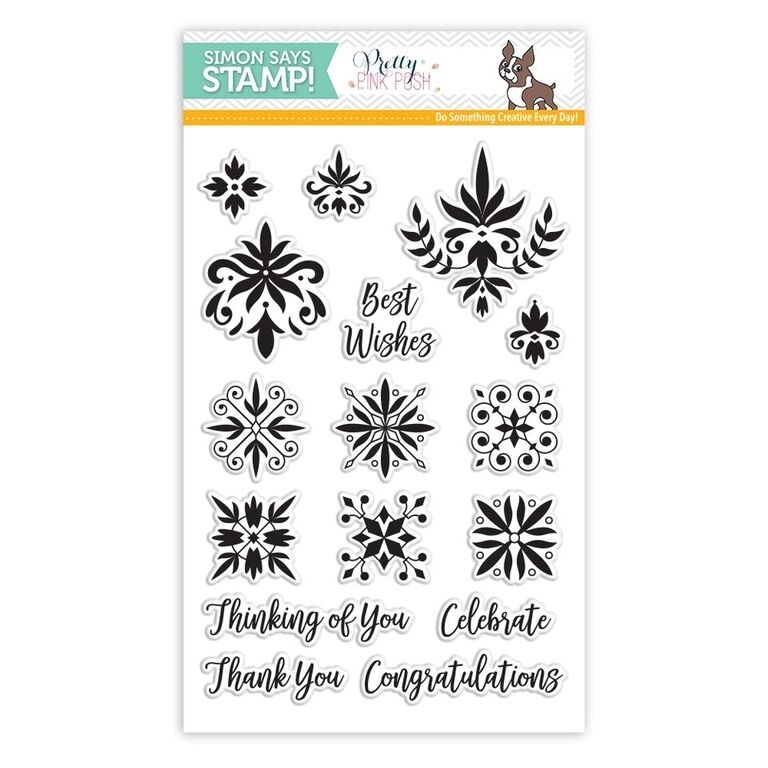 This stamp set is so pretty, & now I guess I need to try this…Thank you!